Home and ready for the wedding and L&I walked to the Sanctuary just in time to be seated. 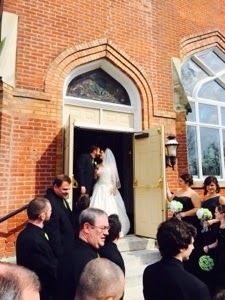 It was a nice wedding of Jared and Megan Estep and there were a lot of people there from work. We got home and we all watched 'The November Man'. and then off to bed.